10 Super Cute & Comfy Flats You’ll Want To Wear All Day Long! No matter how much we love heels, we keep going back to our trusty flats because of their ease and comfort. Whether they’re plimsolls or sandals, we can ever have enough of them. Here are 10 comfy flats you’d want to wear all day long! Metallic colours are always in vogue and this slider with three straps is enough to help you make a style statement. The comfy cork base and the rubber sole makes this one sturdy and stylish! Price: Rs 989. Buy them here! We, along with the rest of the internet, love our feline friends. 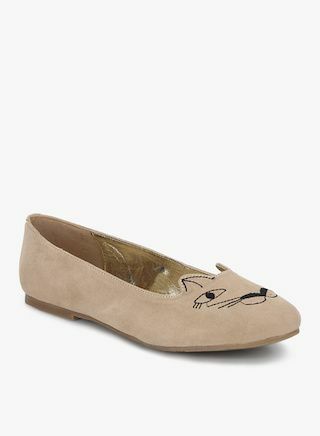 These cat-inspired ballet flats have love written all over them! We want them, want them now! Price: Rs 719. Buy them here! 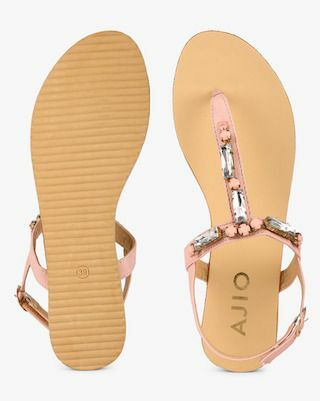 If you thought flats did not have the chic quotient that heels do, you might wanna think again! 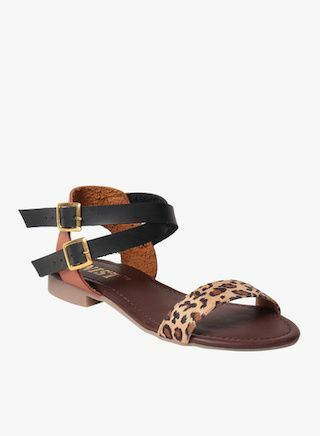 These sandals with a leopard printed front strap and black criss cross belts are daring and so chic! Price: Rs 799. Buy them here! 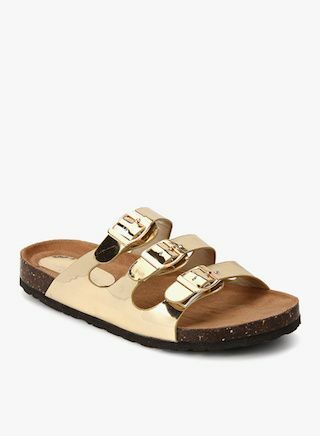 If you have a long day out, then you should always look for flats that have a slingback belt. 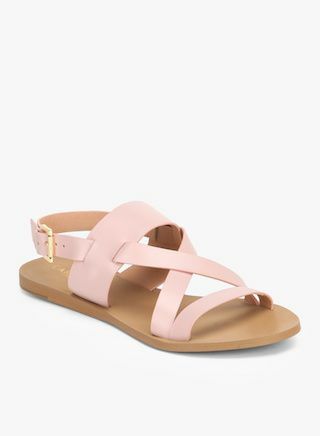 These pastel pink sandals will not only make you want to walk around all day but also blend well with dresses as well as pants. Price: Rs 1,207. Buy them here! We all know how white shoes and sneakers are all the rage right now. These delightful white plimsolls with an elastic floral design on top sure stole our hearts away. Pair them with deep blue denim shorts or skinnies. Price: Rs 1,195. Buy them here! How adorable is this bronze number? The gladiator ankle tie-ups along with the triangular cutout motif on the front strap make these flats such a heartbreaker! Price: Rs 1,199. Buy them here! Gone are the days when studs on black leather was something only punk rockers would wear. Give your ensemble a funky twist by slipping on this cool pair of black studded sandals. Price: 1,399. Buy them here! Pretty as a picture, this girly pair in pink is everything a girl needs on a sunny afternoon. Wear it with kurtis or dresses, this pair is bound to make you shine! Price: Rs 700. Buy them here! Tan can do no wrong! This colour makes anything look sophisticated and classy. We are loving the cut out design in the front, aren't you?! Price: Rs 2,246. Buy them here!